The earliest data on inhabitation in Karjala area, which was also called Loikkanen, dates back to 1847 when Antti Loikkanen was marked to a crofter of Papula farm. In a map of 1858 there are four houses and on their eastern side a field area called Loikkanen. In 1880 the area had 32 inhabitants. 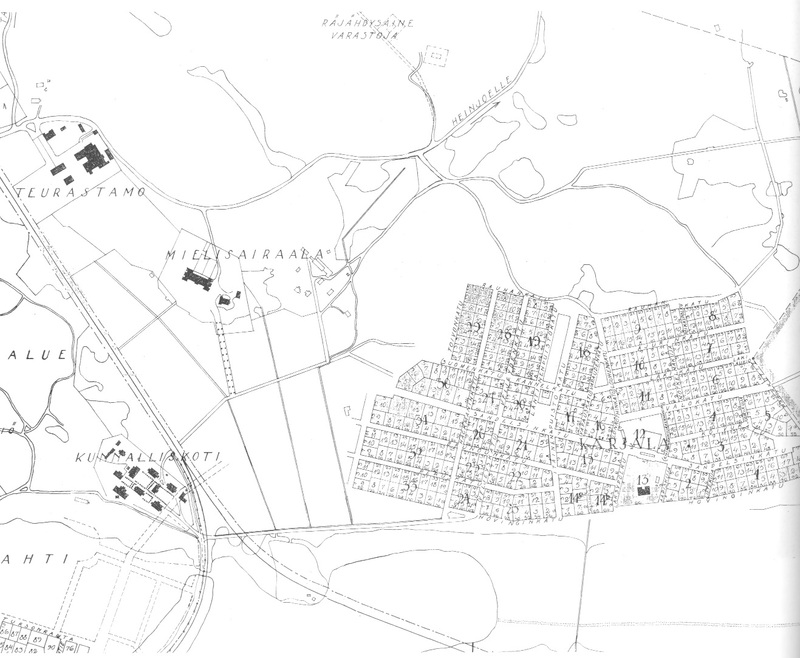 In a map of 1913, Karjala area is marked as a suburb even if it was not incorporated into Vyborg until 1924. The inhabitation consisted of one-family houses and industry was only established in the 20th century further away from the inhabitation. The first construction plans for a slaughterhouse were made in 1907 but the building started later. The slaughterhouse was finished in 1913 along the track close to Heinjoki road. The slaughterhouse consisted of several buildings and a separate meat inspection building was built next to the track in the 1930s. It was thus possible to slaughter and inspect cattle easily. Carcasses brought for further processing were also inspected. A new building for staff was finished in 1938 to the northern side of Heinjoki road and in 1939 the refrigerating machines were modernised. In 1938, a total of 25 684 carcasses arrived by train and 26 822 by road. A mental hospital was finished in Karjala area in 1912. It was expanded in the 1920s. It was midway between the slaughterhouse and the inhabitation.